"Antigone Magazine is launching a Feminist Postcard art project and fundraiser, but instead of asking what your secrets are [as per PostSecret], we want to know what your Dreams for Women are. What are your own dreams for yourself, your friends, your sisters, your daughters? 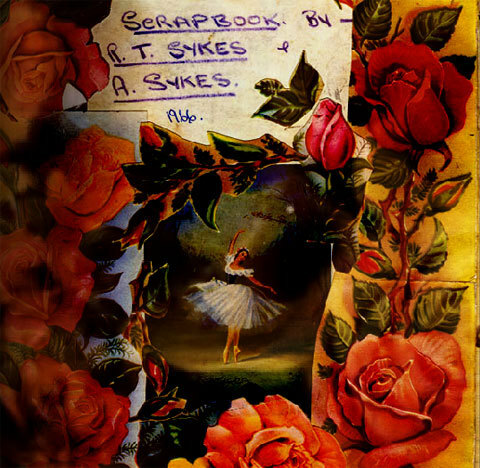 Paint, draw, write, sketch or decoupage your dreams on a postcard and send it to us." For more information (and to see copies of the postcards they've received so far) go here. 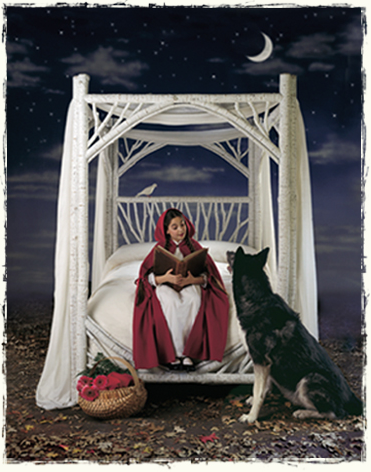 Terri's post last week showing a magical bed made me think of my own favorite magical bed. I ripped this picture out of a magazine in 1991, and have been saving it for the day I stop moving around and can sleep happily ever after in this woodland fantasy. Only a wee little part of my mind wonders how much dust will collect up there on the draped fabric. 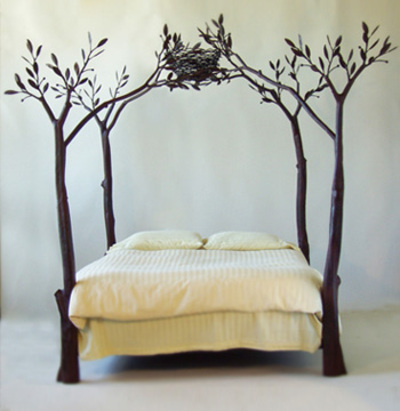 The bed was a one-of-a-kind creation by Mariette Himes Gomez. You can see more of her work here, although none of the pieces look anything like this bed. But wait, I've just recently fallen in love with this bed above, too, designed by Chris McCloud, the owner of the interior design firm Design 6. Philadelphia magazine quotes Chris: "I thought, 'How interesting would it be if a tree fell through the roof and was carved out into a bed.'" 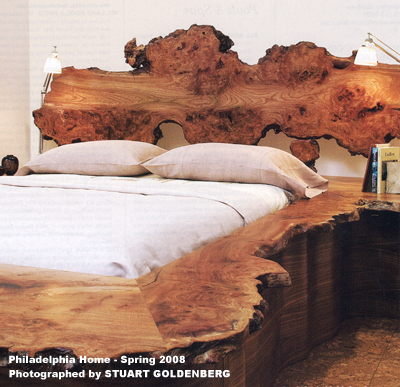 The bed is made of sustainably harvested English burled elm and took its makers at The Wood Shop 273 hours to create. 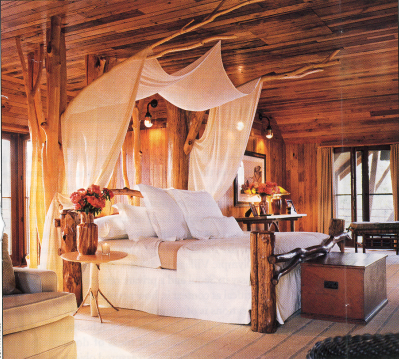 And here's one last bed, below, complete with its own fairy tale. 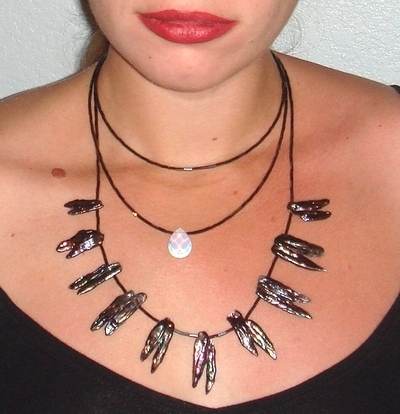 It's part of the La Lune Collection. I'm hoping that Grandma is napping elsewhere, and not inside that giant dog. 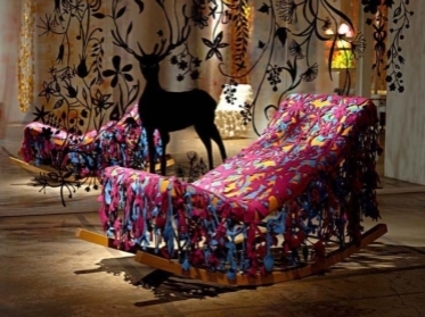 And for the complete "fantasy woodland" bedroom, here's an enchanting rug created by one of my favorite designers, Tord Boontje, (a Dutch artist who lives and works in France), for the Spanish rug company Nanimarquina. You'll find lights, fabrics and other items for this fantasy room in the "Projects" section of Boontje's website, Studio Tord Boontje. Forget about the house...bite on this! Over the last two years I have been following the work of a very talented pair, Michael Samyn and Aurie Harvey, of Tale of Tales, a Belgian studio producing interactive online computer games based on fairy tales. 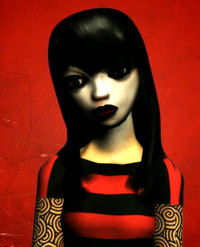 Currently they have three projects in various stages of development: "8," "The Endless Forest," and more recently a new game called The Path, a spooky (and very punk-looking) version of Little Red Riding Hood. Their first experiment, 8, is an exploration of different versions of Sleeping Beauty which takes the player through some beautifully designed locations. Here's a description of the plot: "A young girl gets trapped in a luxurious palace surrounded by a thick forest. Everyone in the palace is asleep. They should have woken up by now. The Prince should have come by now. But the Princess is in no condition to meet him. Assisted by a Wicked Fairy out for revenge, eight unworthy princes have penetrated the forest and disrupted the magic that once protected the sleeping court. The power of the spell is fading. The forest branches are growing. 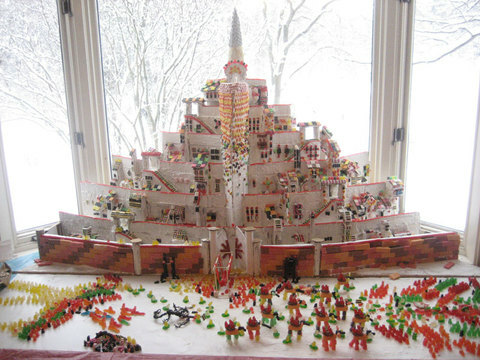 The palace walls are crumbling." The project is still in its developmental stages, but the website lets one wander through the fascinating landscapes and have a peek at the conceptual art created by Lina Kusaite, Martin Michl and Gorik Lindemans. 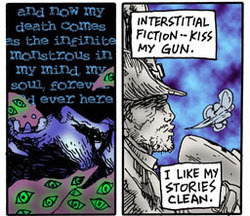 The comic that caught our eye was one by Phillipine artist Andrew Drilon, called Mang Tomas the Story Hunter – in which the Hero mutters, “INTERSTITIAL FICTION – KISS MY GUN!” We’re not sure if he’s giving us a shout-out or a slam, but we loved it! And then, of course, we wanted more. He – and many of the other writer/artists on the site – approach graphic storytelling from a joyous mix of perspectives. 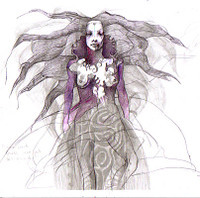 I’m particularly intrigued by Drilon’s incorporation of Filipino archetypes and myths into his stories, but other series – Steven Goldman’s Styx Taxi, and Elizabeth Genco’s Scheherazade also use the handy vehicle of myth to explore some exciting intersections between visual and literary culture. So visit the site and come back to discuss your impression of this project. Is the graphic novel/comic book the most interstitial form of pop culture going today, and if so, what is its future? What else have you encountered like “The Chemistry Set”? Does multiculturalism aid and abet interstitiality – and vice versa? Our conversation will begin here on December 8 and continue for a week. Hope to see you there! WHAT: Discuss The Chemistry Set – we call ‘em interstitial; do you? Needless to say, I'm tickled. Andrew Drilon is a stunning talent - if you haven't checked out his Kare-Kare Komiks yet, you're in for a treat! 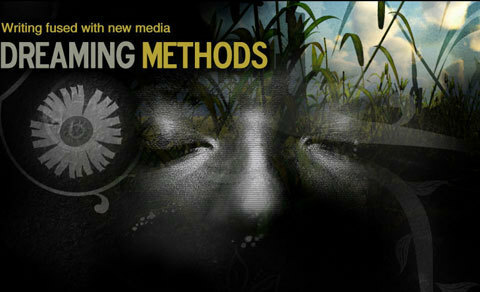 Andrew recently took 2nd place at 2nd Philippine Graphic/Fiction Awards. 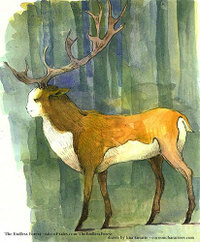 He's definitely a creator for fans of mythic arts to watch. My latest favorite from Andrew: Grinwit. 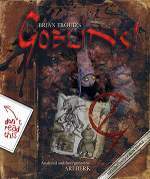 Brian, of course, is no stranger to goblins, having published books on the subject including The Goblin Companion and The Goblins of Labyrinth with Monty Python's Terry Jones, and Goblins! with Ari Berk. 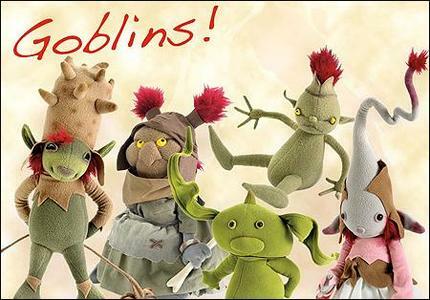 You'll also find plenty of goblins in the magical books that feature Wendy's work: The Art of Wendy Froud, and the "Old Oak Wood" series of picture books for children. The annual Webby Awards select the "best of" in a variety of categories for websites on the Internet -- including personal websites and the best sites for flash animation, education, business, and science. It makes for absolutely fascinating browsing to see what riches the Internet offers. In the Art category, Electrolux Design was this year's Webby Award winner. Every year Electrolux Design offers a global competition for young designers to invent and design products for an eco-friendly, futuristic house of 2010. The inventions are remarkable -- and beautiful! I fell in love with this "soft refrigerator," a 2005 nominee. It's portable, and can expand in size to adapt to the amount of stuff inside the cooling chamber. "The soft-membrane coat insulates the contents and gives the appliance a soft, alluring look. The center pillar sustains the weight of the fridge and transports cool to each layer." Sure beats a dorm fridge! The Universal Leonardo was also a nominee in the Art category and is another fascinating place to visit. This interactive site, for both children and adults, explores Leonardo's many contributions to the fields of drawing, painting, sculpture, and scientific invention. The site is rich and deep, providing brief explanations of Leonardo's influences, the details of his many paintings, the historical background of the period, and a wonderful gallery of images. 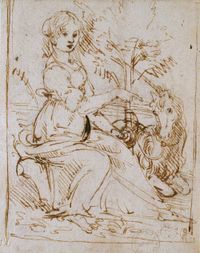 (The image to the right is Leonardo's "Young Woman with Unicorn.") There is even a bit of "play," with a program that allows the viewer to create monsters as Leonardo did. This site is really a treat.